* I don't have a glue gun, we all know that. 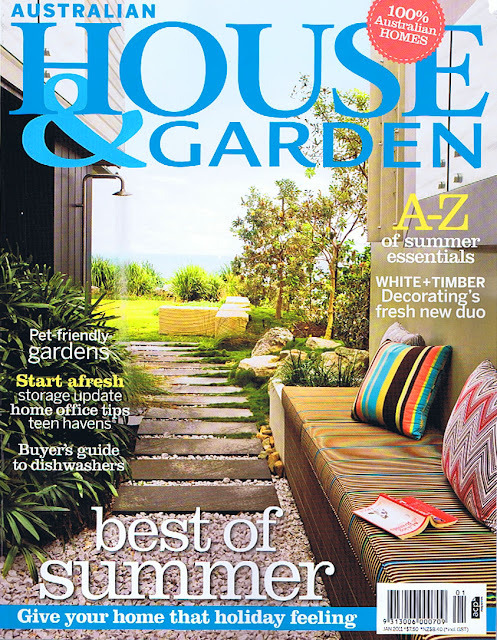 House & Garden cover, don't you think?! damn that inside out cover is good! Ive gone off it a bit lately but that cover may just entice me back! You'll love it Louise, I got mine in Friday's mail and devoured it cover to cover that evening and have reread it agin several times. I know what you mean about the Xmas edition, I thought I had received Real Living (which I also love. I've gone off H&G and HB, too many North Shore homes, it's not that I don't like the North Shore I do (I live there) but I got bored same old decor being shown. I want to be in that pool. Now! It's so humid here at the moment (Syders). Might have to buy a copy. 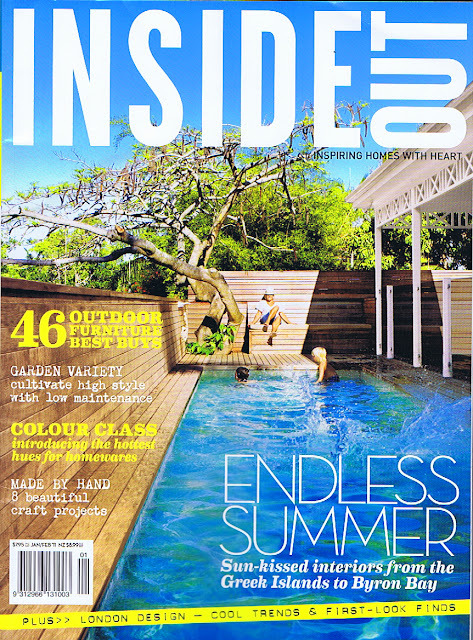 It is not surprising that the cover themes are similar - it is January after all and Summer... but l think Inside Out cover and mag is outstanding and I couldn't wait to read it as soon as l got it in the mail. P.S one has a pool and one doesn't. P.P.S love your blog! There are so many options out there that I'm completely overwhelmed .. Any recommendations? Thanks a lot!